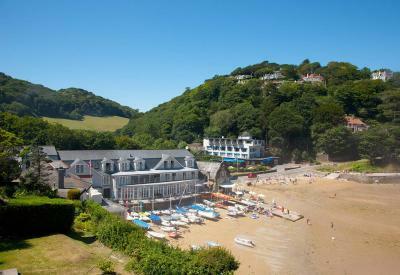 Lock in a great price for South Sands – rated 9 by recent guests! Wonderful location with great restaurant and very friendly staff. I recommend this hotel to anyone! Excellent and cozy place. Clean and spacious bathrooms and great breakfast. Beautiful views and rooms. The location is amazing, right by the beach. The interior of the hotel is beautifully decorated. Staff are friendly. I was sick at the time arriving the hotel which was before the check-in time. And the staff provided me an excellent support. The sight and sound of the sea just outside the bedroom window; the friendliness of all the staff; the excellent food (though expensive); a good base for coast path walking. The view towards Salcombe is lovely if you have the sea view room The young lady who checked us in was great - friendly and helpful. Staff are so friendly and welcoming. Super location, stunning views. Location is excellent. Loved the fact we had good tea in our rooms and fresh milk every day. 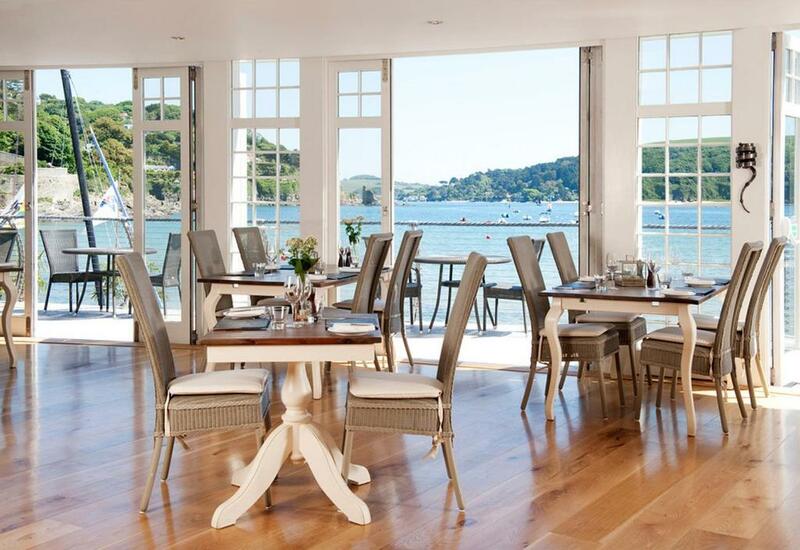 One of our top picks in Salcombe.Located right on the beach, South Sands is a stunning boutique hotel with a beachside restaurant and modern rooms. There is free Wi-Fi and free private parking. 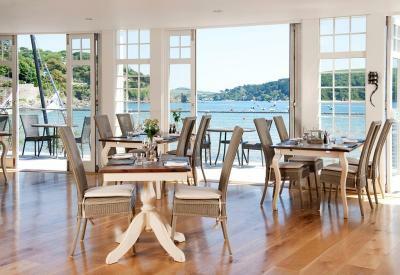 In South Sands, the elegant rooms feature mini-bars, and some rooms have juliette balconies. With striking views, the beachside restaurant serves a fine menu featuring fresh fish and seafood. The stylish bar has a terrace area, and offers refreshing cocktails. When would you like to stay at South Sands? Larger rooms situated at the front of the hotel on the first or second floors. They feature either partial or full sea views, a Juliet balcony and a private bathroom. More spacious room with sea views and a Juliette balcony. These first and second floor rooms have a valley view and feature an private bathroom, a dressing table and a TV. Elegant, spacious suite with 2 bedrooms (some of the suites has a double and a twin bedded room) and kitchen area. Some suites have sea views. All of these rooms are rear-facing with a couple of rooms on the ground floor (one of them with disabled facilities). They all have a flat-screen TV, DVD player, iPod docking station, tea/coffee, a fridge, free water, a dressing table and an private bathroom. The disabled room has a walk-in shower. House Rules South Sands takes special requests – add in the next step! All children under 2 years are charged GBP 12.50 per person per night in a crib. South Sands accepts these cards and reserves the right to temporarily hold an amount prior to arrival. Please note the standard double rooms do not have sea views. Pets are allowed on request, not all of the rooms are dog friendly, the property cannot guarantee that a dog friendly room is available, please check with the property before if you bring your dog. Charges may apply. Beds were hard and uncomfortable Room overlooked a derelict car park and hotel. No view of the sea. Very expensive for food. Easy to run up a £100 bill just for a lunch. Posh (slow braised beef) Cottage pie was so small, barely a child’s portion. Ingredient missing off the cheese course, simply said we don’t have it. Otherwise food was good. Staff excellent, dogs made very welcome. Staff very good. Beds comfortable. Room a little small ( bathroom a good size but lighting very low). Large bathroom - fresh milk and teapot in room. Breakfast very nice. The adjoining property is derelict and the surroundings scruffy which is a pity particularly for those rooms without a sea view. Everything. Staff, food, cocktails, gin, location, beach. We booked the last room last minute - room 14. Really small windows and sloping ceiling. I would have been unhappy if I’d paid the normal Room rate. Loved the L’Ocitane toiletries. The comfy sofas and open fire in the bar were wonderful after long walks. Reception staff were super friendly and helpful. The one thing I noticed that I didnt like but it didnt upset me was some fluff on the floor in our bedroom which was not an issue as everything else was clean. The breakfast was very good, and staff very attentive, courteous and helpful. We had one dinner in the restaurant which was excellent and very much enjoyed. We were attended by Holly who was so smiley and helpful to us, a lovely member of staff. Staff were very helpful with advice on walks to nearby places and gave us lists of walks we could do. On our arrival the receptionist showed us to our room and explained where everything was and how the AC worked. The furniture and fittings are all solid and of good quality, and the rooms tastefully and thoughtfully furnished. The L'Occitaine toiletries were a bonus. The views of the bay/cove are just lovely, it is a very peaceful venue. Loved it. Food is overpriced. Portions small. The food provided was good. Lovely position but difficult to find. Lovely, clean, modern hotel with lovely staff. Nothing was too much trouble. Super bar area and restaurant with sea views. This hotel is really something special. Perfect location right on the beach. We were in a room with a sea view.....and what a view - I don't think I would ever tire of of it! The room was beautiful, tastefully decorated, clean and comfortable. The staff were all friendly and helpful. The food in the restaurant was delicious! We were lucky with the weather for the time of year, but I think this hotel would be lovely whatever the weather. A little more pricey than I would normally go for, but definitely worth it in my opinion and I would thoroughly recommend for a special occasion. We will definitely be back for another stay!